Tottenham Hotspur are reportedly looking to bolster their strikeforce with the acquisition of Stade Lavallois targetman Sehrou Guirassy. According to Foot Mercato, the north London outfit have been impressed by the 6ft 1in striker’s performances in Ligue 2 this term and are ready to pounce in time for the summer transfer window. The France under-19 international caught the eye against England last month, when he got his name on the scoresheet in a 2-1 victory. It came hot on the heels of an impressive brace for the national side, during a 2-0 triumph over Denmark. 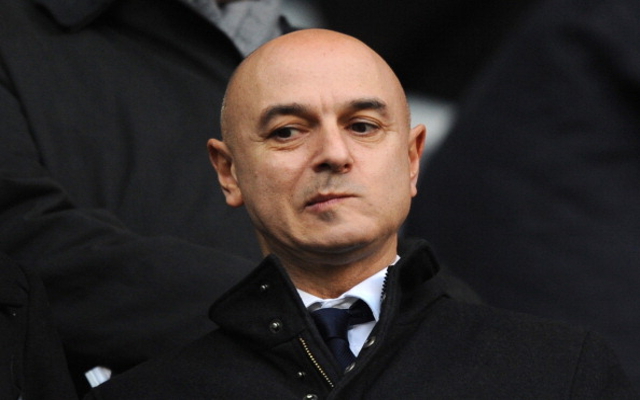 Spurs chairman Daniel Levy is almost certain to increase the club’s attacking options in the coming months following £26m flop Roberto Soldado’s disappointing two-year stint at White Hart Lane and Emmanuel Adebayor’s frosty relationship with the hierarchy. He is unlikely to need to break the bank for a raw, unestablished talent like Guirassy, but the addition of such an exciting prospect to the ranks would undoubtedly excite supporters. The teenager would either provide back-up for first-choice hitman Harry Kane or, perhaps more likely depending on the club’s other transfer dealings this summer, he could join a lower-league side on loan.